Former incumbents of Michy Batshuayi squad number have not fared so well at Stamford Bridge. Chelsea officially confirmed on Monday that summer signing Michy Batshuayi will wear no.23 during his first season with the Blues. The news was delivered via Chelsea’s Instagram account. Batshuayi was no.22 at previous club Marseille, but he wore no.23 during his time at Standard Liege, where he started his pro career. Chelsea’s recent list of no.23s is not so impressive. The last man to wear no.23 for the Blues was Juan Cuadrado, who was sent out on loan after making just four Premier League starts. Chelsea pre-Cuadrado no.23, old goalkeeper Mark Schwarzer, also started just four Premier League games for the Blues, but – in fairness, it was pretty much his job the sit on the bench. And before Schwarzer was Daniel Sturridge, who wasn’t deemed good enough for regular first-team football at Stamford Bridge and was consequently sold to Liverpool after scoring in just over one third of his 63 Premier League appearances. 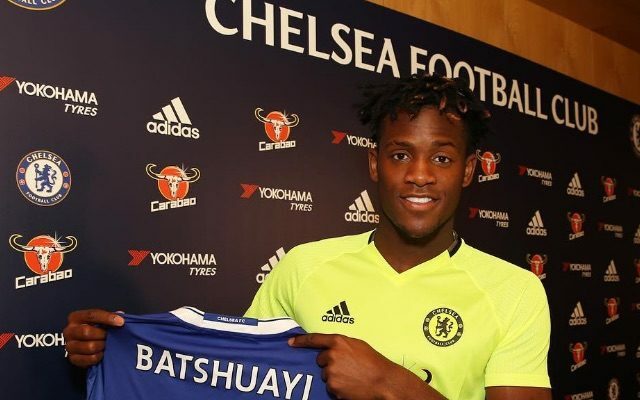 Batshuayi being given no.23 keeps the pressure of him, but it also means the Blues are still without a no.9. Will there still be nineless when the season kicks of next month?